This was a fun way to start my day last Friday. I drove up next to this antique car with the penny-farthing on the back. 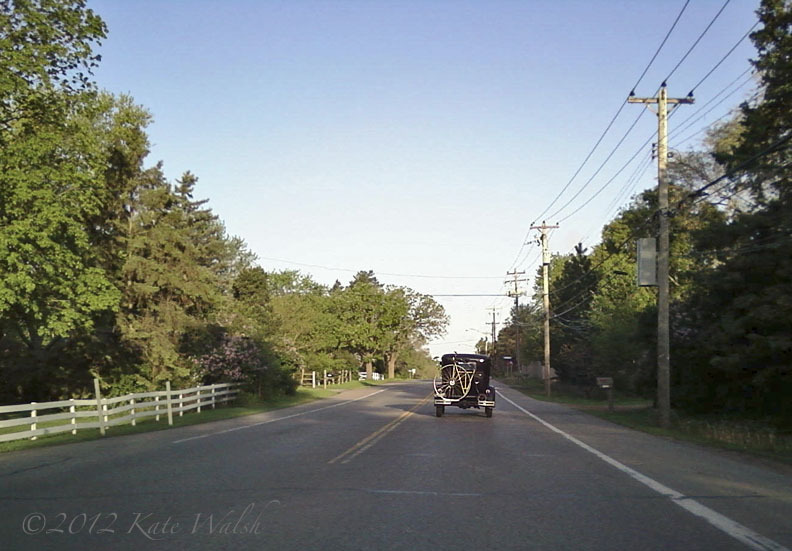 The car was perhaps a Model A or a Model T. I positioned myself behind it once the road went to two-lanes. At that point, I remembered I had my cell phone and snapped a few photos. I loved seeing this car and bike and traveling down the road with it. I only wish I’d had my other camera with the zoom lens. Happy Friday everyone! Note: Click on the photo to see it larger.